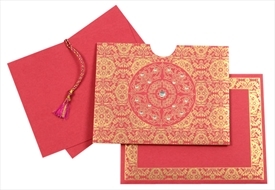 D-2044, Red Color, Shimmery Finish Paper, Small Size Cards, Light Weight Cards, Designer Multifaith Invitations, Card with Rhinestones. 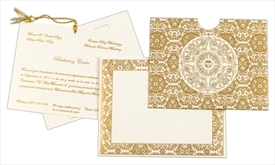 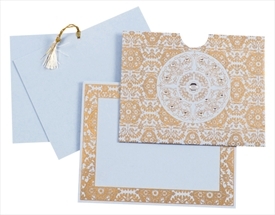 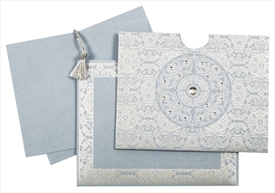 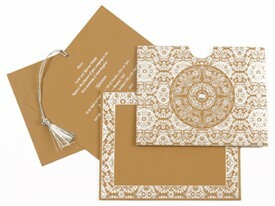 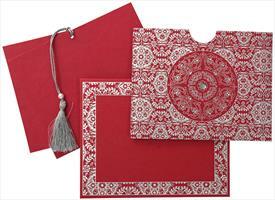 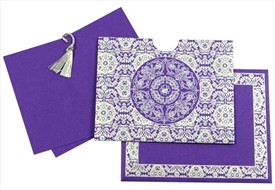 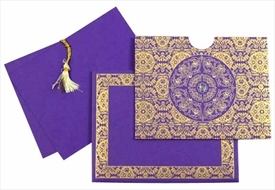 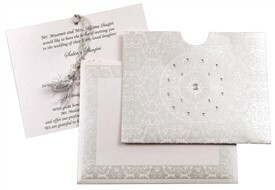 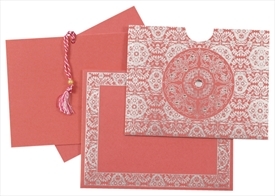 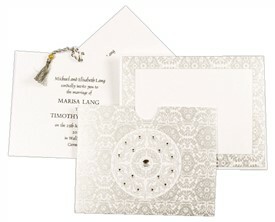 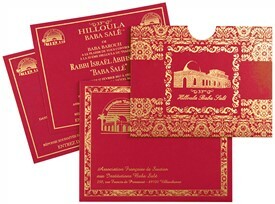 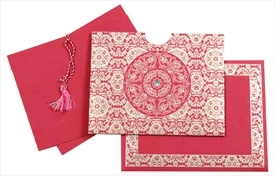 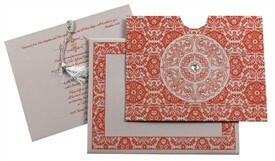 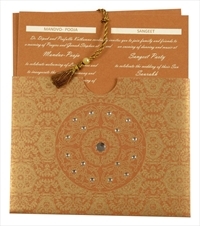 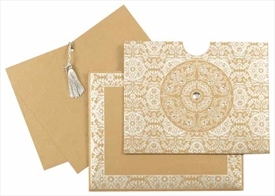 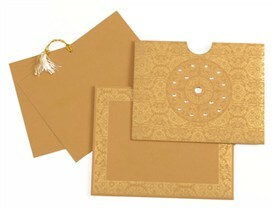 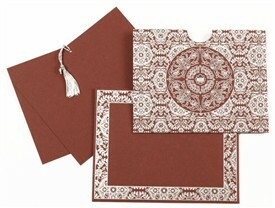 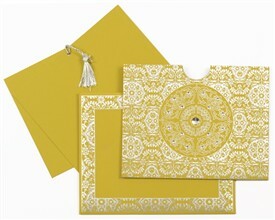 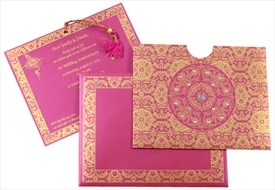 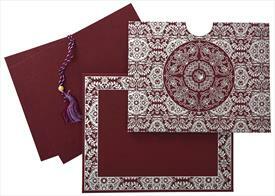 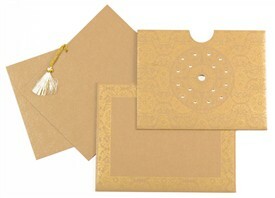 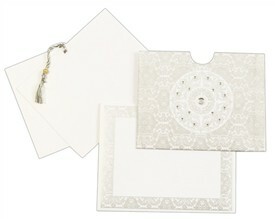 A classic pull out style card with 2 inserts and a matching tassel. 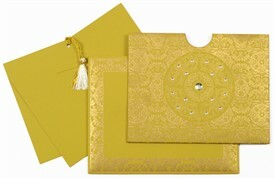 The front has Stone work with beautiful and intricate design in Golden. 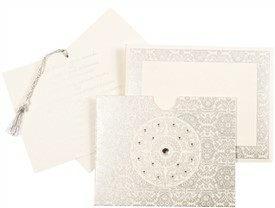 Env follows the front design. 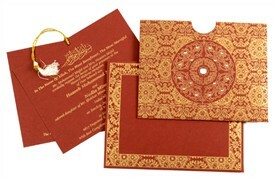 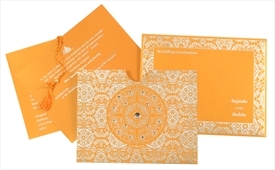 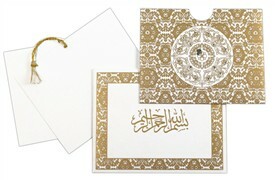 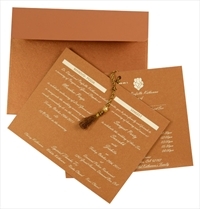 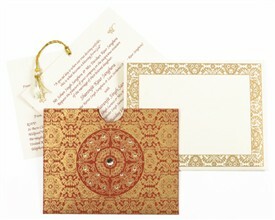 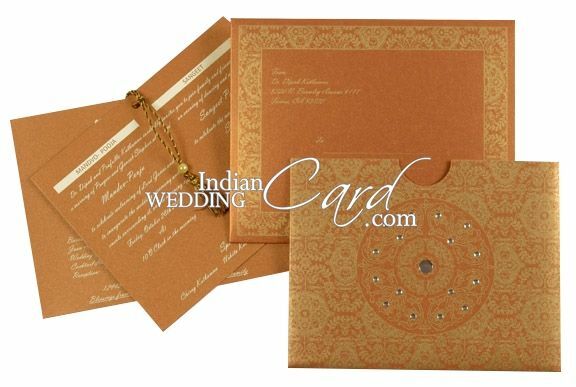 Shimmery Finish Copper card sheet (235gsm) for holder type card, 2 inserts and mailing envelope.